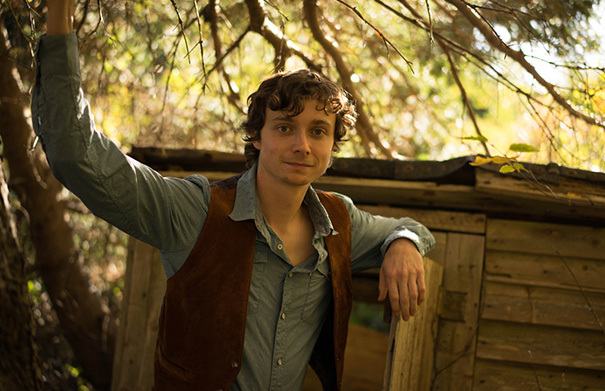 On this week’s local edition of Folk Roots Radio we talk to Toronto-based singer-songwriter Jory Nash about his show in Guelph on November 6. We also take our final look at the nominees for this year’s Canadian Folk Music Awards. The awards will be handed out in Edmonton this coming weekend, November 6-8 . 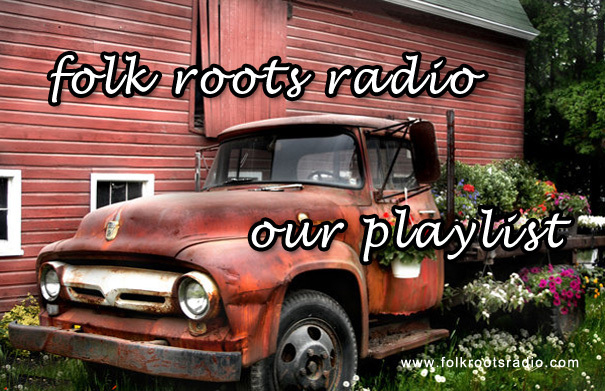 For more information on the awards visit folkawards.ca. 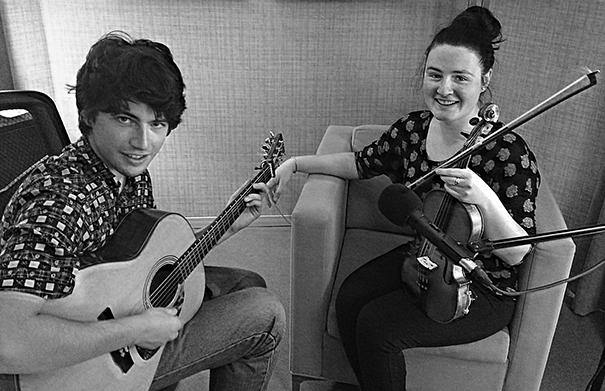 Qristina & Quinn Bachand have been making music together for most of their lives and making waves on the celtic music scene for their creativity and musical virtuosity – Qristina building a reputation for her fiddle and vocal work while Quinn has been making a name for himself as a celtic acoustic guitarist and fiddler, and pushing boundaries through his work with the duo and Brishen, his gypsy-jazz combo. Their latest album and their third together, “Little Hinges” (2015) has been very well-received. Qristina & Quinn joined us at the Folk Music Ontario conference for an in-depth conversation and impromptu session. For more information visit qbachand.com. Music: Qristina & Quinn Bachand “Crooked Jack” from “Little Hinges” (2015, Beacon Ridge), “What You Do With What You Got” (Live), “The Welcome Farewell Set” (Live), “Truly Understand” (Live) and “Never Goodbye/Three Little Babes” from “Little Hinges” (2015, Beacon Ridge). 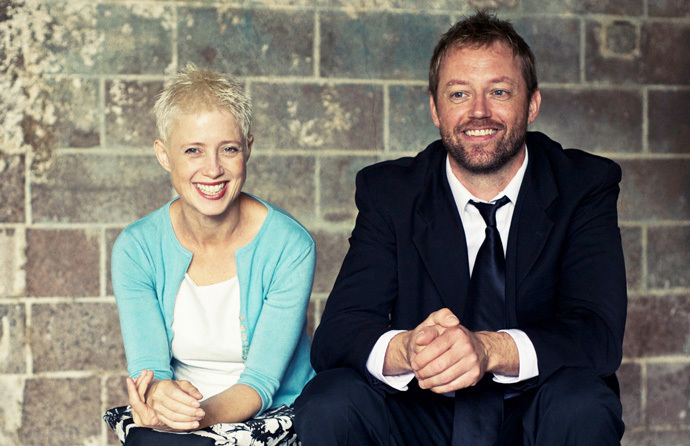 Big Little Lions started out as a long-distance songwriting partnership between two established songwriters, Juno award winning Helen Austin from Vancouver Island and Cincinnati-based Paul Otten. In their two-year collaborative career they have produced two E.P.s and a very well-received long-player “A Little Frayed, A Little Torn”, that has been nominated for a Canadian Folk Music Award for Ensemble of the Year. Helen, Paul and Helen’s daughter Daisy Squires, a member of the Big Little Lions band, joined us at the Folk Music Ontario conference to chat about their music. For more information visit biglittlelions.com. Music: Big Little Lions “The Road With You” and “Watered Down” from “A Little Frayed, A Little Torn” (2015, Riptide Music Group) and Big Little Lions “The Way Home” from “Paper Cage E.P.” (2014, Riptide Music Group). 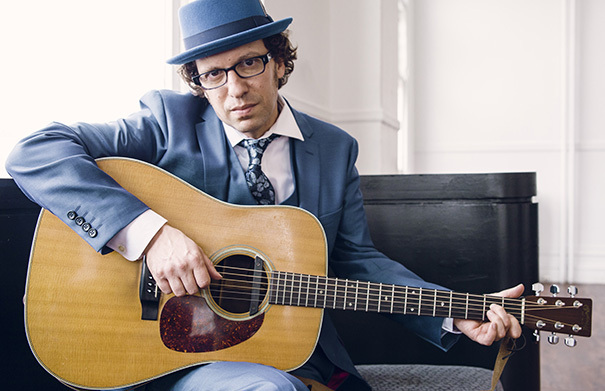 Award-winning singer-songwriter Jory Nash is back in Guelph on Friday November 6 for a show at Silence with another fine singer-songwriter, Guelph’s own Jane Lewis. Jory’s latest album “The Many Hats of Jory Nash”, a beautifully textured album of folk and folk-pop in the classic singer-songwriter tradition, was released earlier this year to glowing reviews, and has since garnered Canadian Folk Music Award nominations for Contemporary Singer of the Year and Producer of the Year. We caught up with Jory at home in Toronto to chat about his upcoming Guelph show. Advance tickets for the Jory Nash / Jane Lewis show are just $15 (no booking fee) and are available on Ticketscene here. 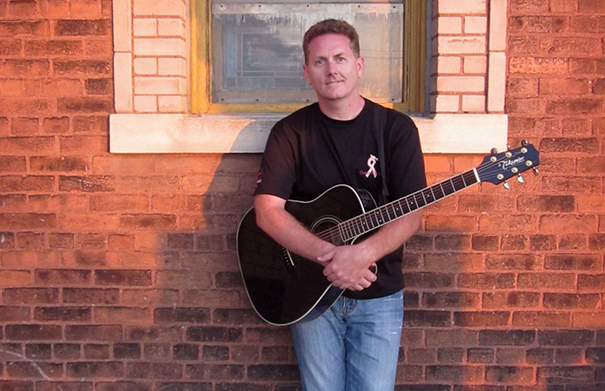 For more information about Jory’s music, visit jorynash.com. Photo: Lisa MacIntosh. Music: Jory Nash “Luger” and “Nine Miles Long” from “The Many Hats of Jory Nash” (2015, Thin Man Records). 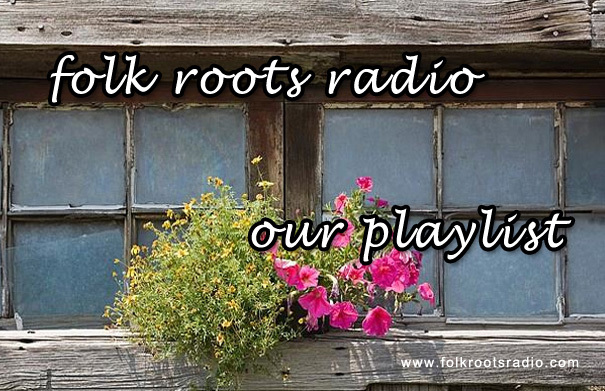 This week’s New Release show features an interview with Toronto singer/songwriter James Bruce Moore recorded at the 2015 Folk Music Ontario conference. James has just released his second album, the gorgeous “Soul’s Journey Home”. 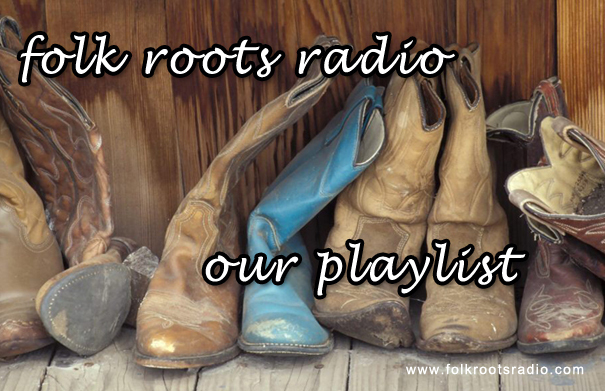 We also include a selection of some of the great music we’re received in the past few months. Toronto-based singer/songwriter James Bruce Moore has just released his second album, the mystical and soul-stirring “Soul’s Journey Home”. Whereas his well-received debut, 2012’s Lisbeth (named after his late wife) featured a folk, country, and jazz palette; the beautiful and inspiring new album is more folky but includes the prominent use of a nine-piece string section, with arrangements by Aaron Davis. The album was produced by renowned bassist George Koller (Loreena McKennitt, The Shuffle Demons) with musical support from, among others, Steve Briggs, Denis Keldie, Mark Mariash, Kirsten Rea, and David Piltch. James Bruce Moore stopped by our mobile studio at the Folk Music Ontario conference to chat about the new album. 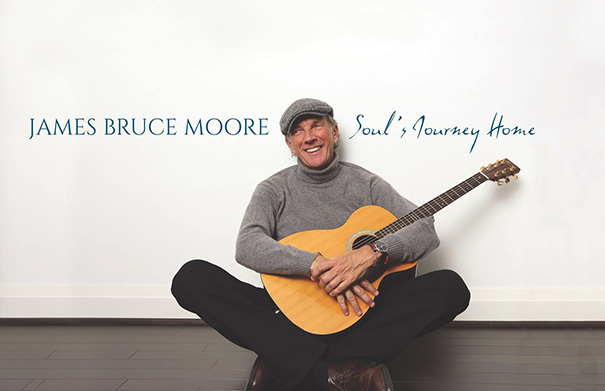 Music: James Bruce Moore “Soul’s Journey”, “Roy Benavidez” and “Sigh Unto The Universe” from “Soul’s Journey Home” (2015, Self). Ottawa-based singer-songwriter Lynne Hanson is releasing “7 Deadly Spins”, an album of murder ballads and songs of reckoning this Halloween! The album recorded in Ottawa with her band The Good Intentions and produced by Lynn Miles features seven original songs with murder and its impact as the central theme. The Ottawa CD Release takes place at Greenfields, 900 Greenback Road at 9:30 p.m. Admission $15. Lynne will be in Guelph on November 20 2015 for a show at the wonderful listening venue Silence. Lynne joined us in our mobile studio at the Folk Music Ontario conference to chat about the new album and share a live song from the new project. Music: Lynne Hanson and The Good Intentions “Gravedigger” from “7 Deadly Spins” (2015, self), “Cecil Hotel” (Live) and Lynne Hanson “River of Sand” from “River of Sand” (2014, Self). 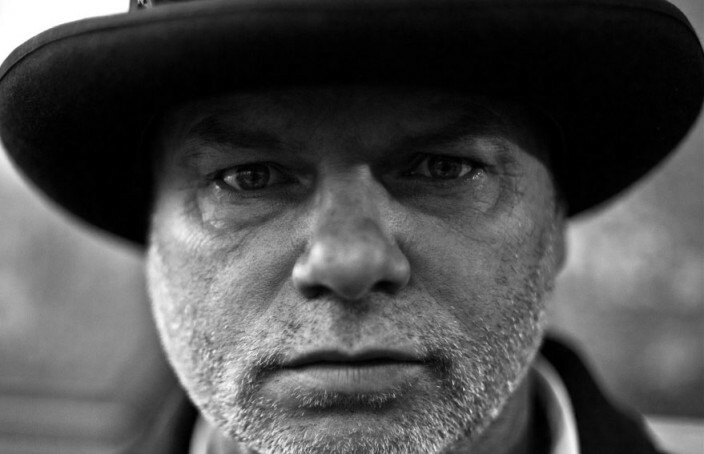 This week on Folk Roots Radio we talk to Fred Eaglesmith about his upcoming Ontario shows and replay an interview with The Oh Chays recorded at the 2014 Folk Music Ontario conference. 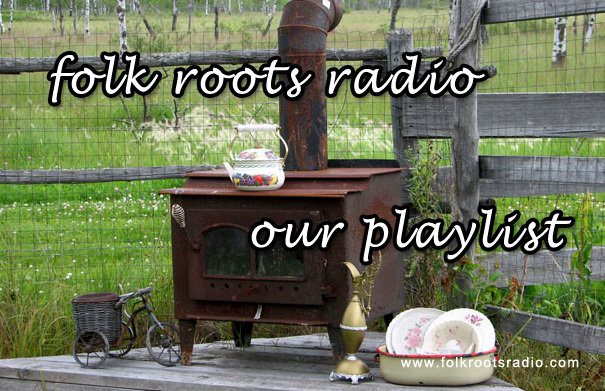 We also continue our run down of artists nominated for the 2015 Canadian Folk Music Awards. 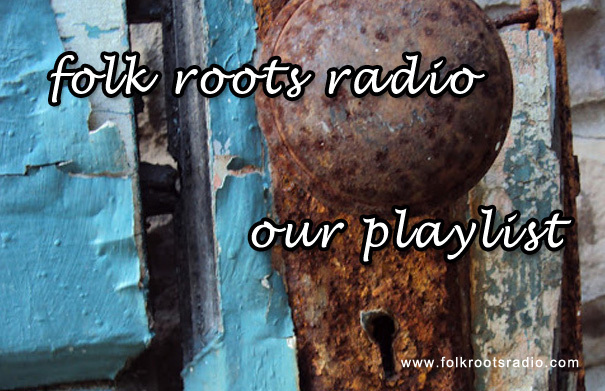 This edition of Folk Roots Radio is all about the music. No interviews, just a great selection of the new music that we’ve received recently. Fred Eaglesmith’s travelling show lands in Mount Pleasant (October 23) and Cambridge (October 24) in Ontario this month. Expect some fantastic live music, lots of jokes and a pie auction at intermission. Fred’s last studio album was the AM/FM friendly Tambourine (2013); he’s just about to head back into the studio to work on what is expected to be a more rootsy follow-up. For more information visit fredeaglesmith.com. 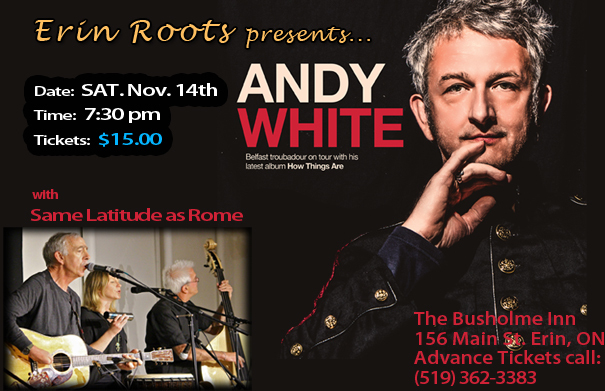 Advance ticket purchase: 519-583-3878 or online HERE. Marianne Girard and Allan Fraser had been making music for over thirty and forty years respectively before a chance meeting in 2013 lead to the development of a new musical partnership “Fraser & Girard” and the release of a critically-acclaimed self-titled album. 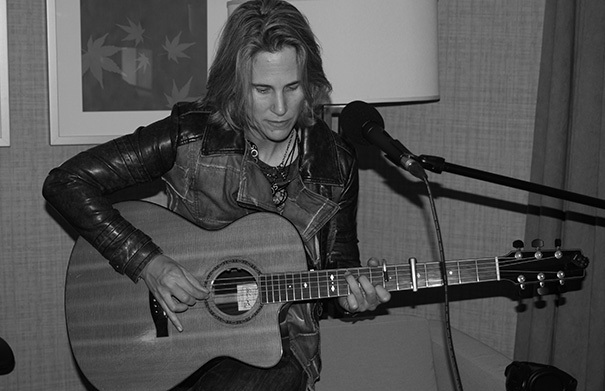 They came into the studio recently for an in-depth conversation and a few songs. For more information visit fraserandgirard.com. Music: Fraser & Girard “Picov Downs” (Live), “Outside St Louis” (Live), “The Might Penny Blues” (Live), “My Name Is Carol” (Live), “Dancehall Girls” (Live) and Fraser & Girard “Don’t Blame It On Me” from “Fraser & Girard” (2015, Self). 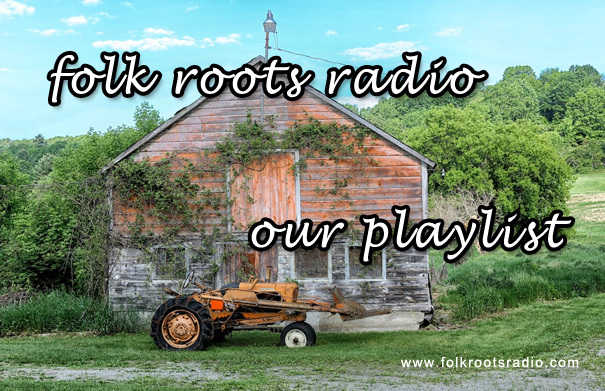 This week’s Folk Roots Radio is the first to be split into two separate hours – “Live and Local” focusing more on upcoming live shows in the Guelph – Erin Area and the “The New Music Special” – featuring a selection of the great new music out there. 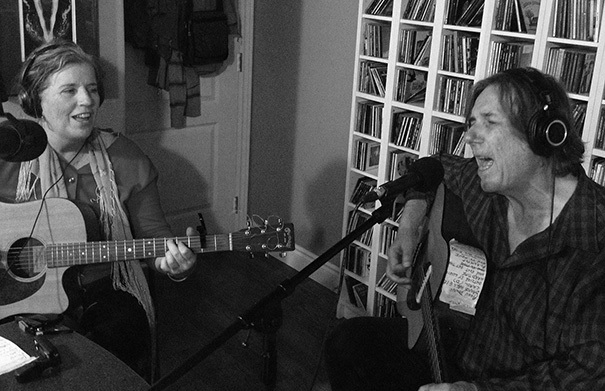 Live and Local this week featured two interviews – Dennis Gaumond and Jennifer Gillmor are the Guelph-Toronto based multi-instrumentalist musical duo responsible for the rootsy, bluesy and at times funky sound of Jennis. 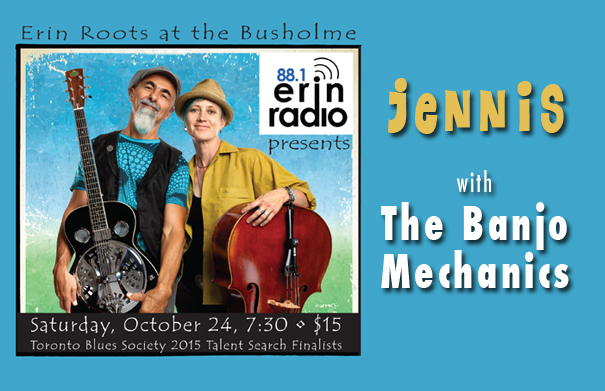 They came into the studio to chat about their Erin Roots show at The Busholme Inn in Erin on Saturday October 24. Jenny Ritter also joined us from Vancouver to talk about her her new album “Raised with Wolves” and her show at Silence in Guelph on Wednesday October 21. Vancouver-based singer-songwriter Jenny Ritter is coming to Guelph for $10/PWYC show at Silence on October 21 at 8 p.m. with support from South-Western Ontario based The Oh Chays. Jenny spent a decade playing with roots outfit The Gruff, before striking out under her own name. She’s just released “Raised by Wolves”, the follow-up to her critically acclaimed album “Bright Mainland” (2012). “Raised By Wolves” is full of songs that tell stories from her “unconventional” upbringing deep in the woods on Vancouver Island featuring dreamy landscapes, pastoral imagery and some unusual people. 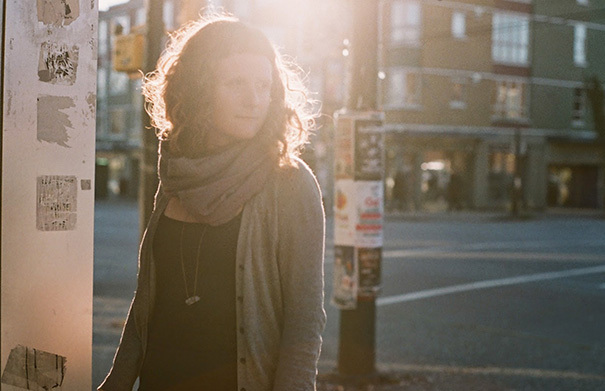 When not touring, Jenny singlehandedly runs two rock choirs in East Vancouver. Music: Jenny Ritter “Wolf Wife”, “Turn Your Thoughts” and “Lost and Found” from “Raised By Wolves” (2015, Fiddlehead Records). 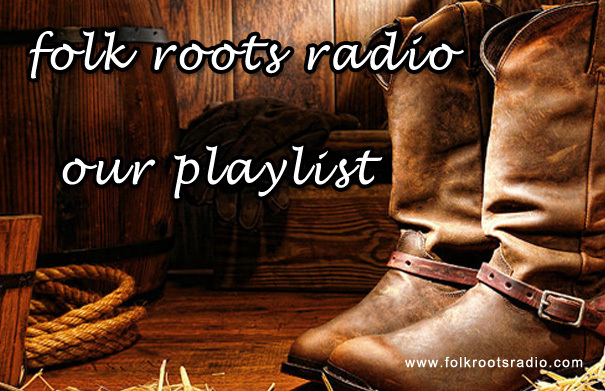 Episode 211 of Folk Roots Radio features two interviews. South-western Ontario singer-songwriter Glen MacNeil joins us to chat about his debut album “Where The Heart Remains” and we also talk to Linda McRae about her latest release “Shadow Trails”. Linda’s in Guelph for a CD release show on October 9. Among the new music on this week’s show we take a look at a new tribute album to the godfather of the first British folk revival, Ewan McColl out now on Cooking Vinyl. A veteran of the South-Western Ontario music scene, singer-songwriter Glen MacNeil has just released his debut album “Where The Heart Remains”, a fine selection of beautifully-crafted songs focusing on relationships, family and life in general. The album, produced by John Law (of The Laws) features acoustic guitar and vocals from Glen, with John Law on guitar, resophonic guitar, mandolin, organ, and backing vocals from John & Michele Law. Guest musicians include J.P. Cormier on fiddle, Stuart Cameron (from The Heartbroken) on electric guitar and Philip Scott Poli on backing vocals. . We caught up with Glen at home near Windsor. Music: Glen MacNeil “I Wish I Was A Train”, “Up On High”, The Island Is Where The Heart Remains” from “Where The Heart Remains” (2015, Self).